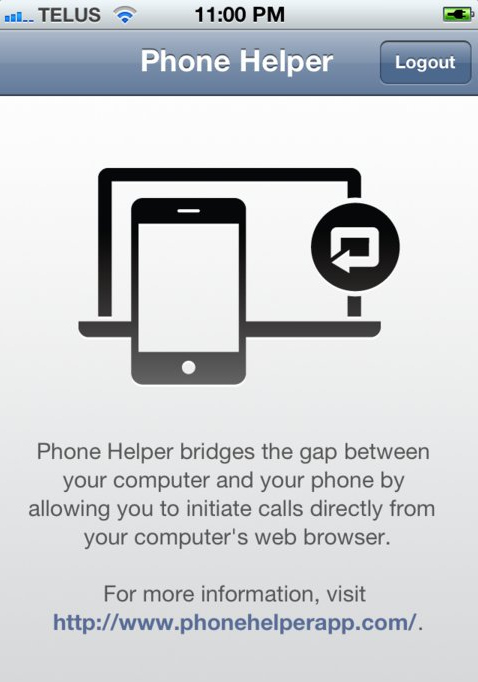 Phone Helper App – Dial your iPhone from your computer! Ever wanted to dial telephone numbers on your iPhone directly from your computer? Now you can and it’s as easy as point, click, talk! Next time you’re surfing the internet on your computer and want to call the telephone number you see in your web browser, forget about dialling it. Instead, point and click. Within seconds, you’ll receive a push notification on your iPhone asking you to confirm that you wish to dial the number.